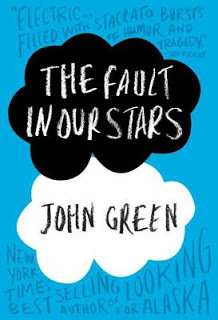 Bookanista Elana Johnson talks about an amazing contemporary novel, THE FAULT IN OUR STARS by John Green. She says, "I think the thing I liked best was that while this is a tragedy, the main characters don't give up. It's a story that encompasses life--because those of us plodding along on this orb aren't giving up. We keep putting one foot (and in the case of Augustus, he only has one, which I thought was brilliant) in front of the other, and hoping." Read all her thoughts here.